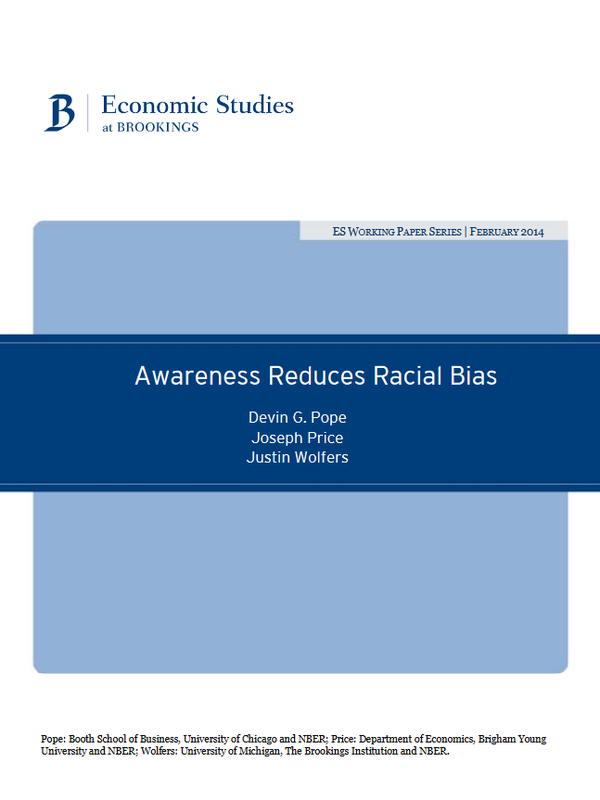 Abstract: Can raising awareness of racial bias subsequently reduce that bias? We address this question by exploiting the widespread media attention highlighting racial bias among professional basketball referees that occurred in May 2007 following the release of an academic study. Using new data, we confirm that racial bias persisted in the years after the study’s original sample, but prior to the media coverage. Subsequent to the media coverage though, the bias completely disappeared. We examine potential mechanisms that may have produced this result and find that the most likely explanation is that upon becoming aware of their biases, individual referees changed their decision-making process. These results suggest that raising awareness of even subtle forms of bias can bring about meaningful change.